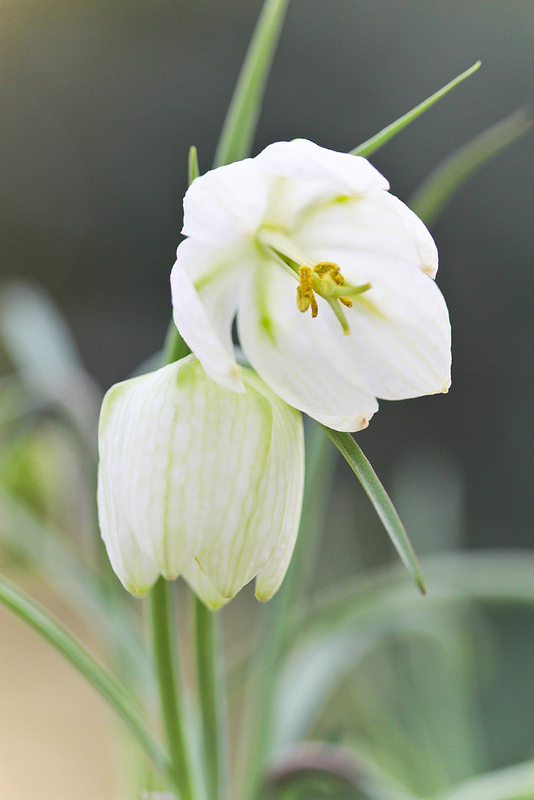 This month’s Garden Flowers post, which I write with Rona Wheeldon of Flowerona, features the snake’s head fritillary. Originally a native wild flower, it’s now been domesticated for garden use as it’s so beautiful. 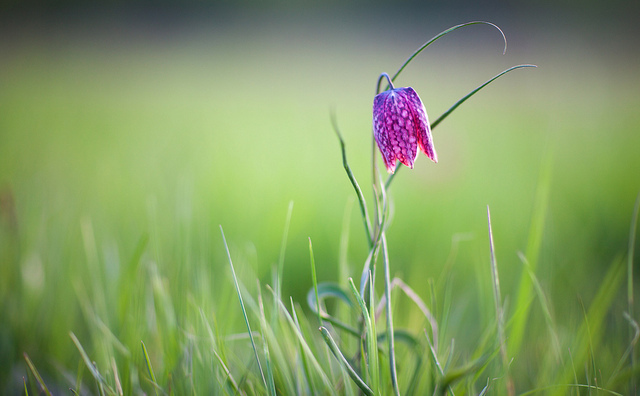 Snake’s head fritillaries have nodding, bell-shaped blooms which appear on their slender stems in April and May. The delicate petals are either white or a chequerboard pattern in shades of purple. Fritillaria meleagris is its Latin name. It’s derived from the Latin word ‘fritillus’, meaning dice box, which possibly refers to the checked pattern on the flowers. If you’d like to grow these hardy perennial bulbs in your garden, you need to plant them four times their own depth (approx. 12cm) from September to November. Be careful when handling the bulbs though as they’re quite fragile. 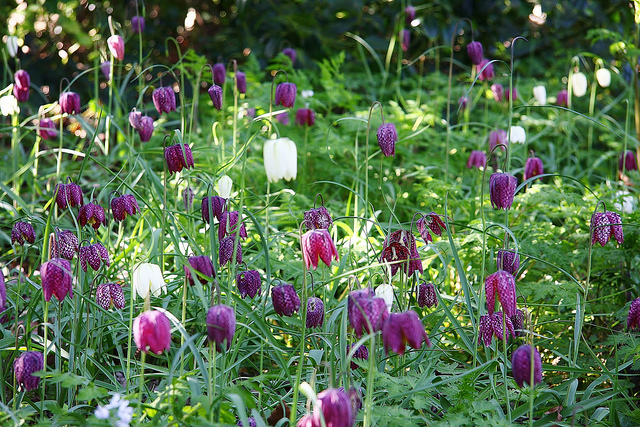 Snake’s head fritillaries like fertile, well-drained soil and full sun or partial shade. In particular, they love the shade of woodland conditions and look wonderful planted in drifts naturalised in grass in an orchard or wild flower meadow. To create natural-looking drifts, simply throw a handful gently over the planting area and then plant them where they land. Alternatively, you could grow them under shrubs in a border or in pots. 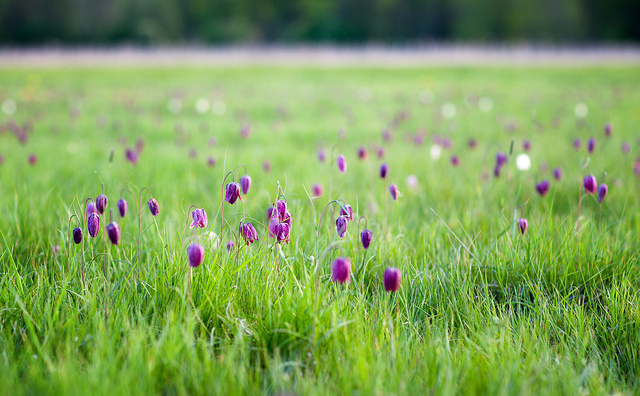 If you live near Wiltshire, you may like to visit North Meadow in Cricklade where there is a meadow which supports Britain’s largest population of snake’s head fritillaries. Bit lateI know but just wanted to say that there is a damp meadow in Berkshire next to the River Loddon alive with Snake’s heads. I stumbled across it when out fishing a couple of years back. Its quite a picture mixed in with Cockoo flower against a backdrop of flowering Blakthorn in the spring. I make a pilgrimage every April and have the field to myslef with only Skylark for company. Sounds idyllic – take some pictures next time, would love to see them!